On of the more troubling stories to cross the Margin’s radar recently is this story out of Grenada where from what is being said it would seem that police were caught spying on an opposition party planning meeting. The National Democratic Congress (NDC) claimed that a police officer was caught secretly recording a closed-door meeting and pointed fingers at the Prime Minister’s New National Party (NNP) as the ones behind the move. But the NNP has denied the spying allegation. Of all of the islands of the english speaking Caribbean, Grenada has had one of the most erratic relationships with democracy. Having gone through years of mis rule under Gairy, the Revolution and invasion (or intervention) by the United States military. 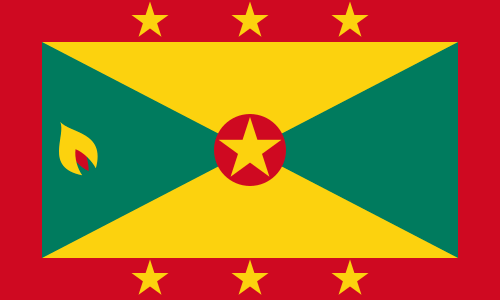 In spite of all of the foregoing, Grenada has developed today into a flourishing and stable democracy. For the coming election on the Spice Isle the stakes are higher than ever, for the first time in a while it looks as if there may be a real chance of the Government changing. On the night of the Barbados election we made the statement that the true test of democracy is when the result of the election is accepted by supporters of all parties the winners and the losers. If anything is allowed to cast doubt on the integrity of the electoral process in Grenada the consequences may be significant. On an island with Grenada’s bloody history, democracy is too fragile to take anything for granted. Do We Need A Caribbean FBI? Faced with rising crime rates, Caribbean governments have struggled to keep pace. However at a time of challenging economic conditions and soaring levels of indebtedness, many Caribbean police forces are overwhelmed, underpaid, and under-equipped. This is particularly the case in the smaller economies of the OECS (you will note that I did not say “smaller islands”) The Caribbean with it’s inadquately equipped security forces, and many islands with inlets and coves make the chain attractive as a route for drug traffickers to move narcotics to the metropolitan markets. The wealthier economies in the region have attempted to strengthen their security apparatus however, they are often faced with criminals who have more sophisticated equipment than they do. The problem is compounded by the lack of financial assistance for security ( a mindset that is slowly changing). It is against this background that Trinidad Prime Minister Patrick Manning recently proposed the development of a Pan Caribbean law enforcement agency. Patrick Manning said a well-trained, equipped regional force with the power to legally operate in any CARICOM country would be part of the answer to combating the crime situation – one which he insists is being driven by the illegal drug trade. “Many of us in the Caribbean today are challenged by the unacceptable levels of criminal activity in our country, most of which are now spurred by the global traffic in illegal drugs. The trade in illegal arms and gang warfare lead to an unacceptable level of homicide in our main urban centres,” he said, while delivering the keynote address at the recent University of the West Indies (UWI) Mona Campus Commemoration Dinner in Jamaica…. …..Mr Manning said his country had sought to stem the flow of illegal drugs and arms into the country through initiatives which he believes will eventually rid the country of the drug trade, such as round the clock surveillance of the twin island republic’s largely unprotected coastline. But he also noted that the pattern in the past demonstrated that when the operations of drug lords are interrupted in one country they move to another. “(That) pattern emphasises the need for multilateral efforts among ourselves and with the wider world. Failure to effectively deal with the issue of crime could stymie the economic and social development of the Caribbean,” he said. Mr Manning further urged CARICOM heads to spearhead the process of greater cooperation in the sharing of intelligence among police forces to head off migratory drug smugglers. In theory this sounds like a great idea, and we on the margin support it generally. However would such a “federal” force be allowed to operate? To often in the Caribbean there are rumours (and we aren’t prepared to say they are only rumours) of “certain people” in certain countries being untouchable, would a CFBI be allowed to go after them?If they were it would open an interesting can of worms. Would the criminals arrested by this federal force be prosecuted in local or regional courts? For example we have many cases of witnesses in Trinidad being murdered before they can testify, we also have rumours of corrupt judiciaries in some countries, would people arrested by the “Federales” have a likely chance of getting convicted in a local court? When you look at the implications of a Caribbean Law Enforcement agency, it’s not as simple as it might appear at first blush. For it to be really effective it would have to be part of a Pan Caribbean judicial system. PM Thompson showed the first inkling of his plans for the new term by naming a cabinet which is bolstered by some of the brightest brains in the island. We on the margin are particularly pleased to see Darcy Boyce being named to the cabinet as his skill set fills the most obvious hole in the qualifications of the elected cabinet. Another interesting move was divorcing the International Transport ministry from the Tourism ministry and placing back with Transport and Works. 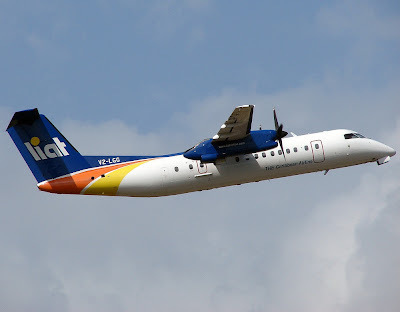 The previous BLP administration had considered international transport to be the handmaiden of tourism with a focus on attracting new airlift. It will be interesting to see what new direction this brings. International Trade, Foreign Affairs, and International Business have been joined under one Minister and one Junior minister. While we can understand the linkage, given the importance of International Business to the economy, we would have been more comfortable with it being given the exclusive focus of one minister. However we will have to see what results this brings. Perhaps the most surprising omission was that of a Deputy Prime Minister while we have seen comments on Barbados Underground that the post exists only in tradition (let’s be clear it was the opinion of a commenter not David or one of the BU family) we on the margin view the post as having considerable importance. The Deputy Prime Minister runs the country in the absence of the PM. This is true when the PM travels or (God Forbid) becomes incapacitated or dies in office. It would be easy to dismiss the latter scenario as unlikely except for the fact that it has happened twice already. However apart from the above comments we think that Mr. Thompson’s first cabinet appears to be a credible, well thought out team. The most obvious weakness has been adequately supported and it is clear that he has put his best brains in charge of the key ministries. We wait to see what changes in policy will come from this new configuration. Delays, Lost Luggage, Chaos at Check In on LIAT – The World’s Most Expensive Low Cost Carrier! One of the consistent themes of conversation this Christmas is the Worlds Most Expensive Low Cost Carrier LIAT. Across the Caribbean people are still waiting for luggage with Christmas gifts and just their basic necessities to arrive. Many of them are hoping their luggage will arrive before they have to go back home (on TWMELCC) when it probably will be lost again. Those of us on the margin, can only comment on the chaos at the check in counter in Barbados which required Airport Security and Police to be called to keep order. It should be noted that this disorder stemmed from the fact that none of the passengers having the remotest idea what was happening with their flight. To the observer it appeared that the logic was whoever pushed their way to the counter got checked in. Whoever didn’t; got left. No effort was made by LIAT to tell passengers where they should queue. No staff member out front, no indication on the fancy new flat screens above the check in, not even a note written in marker on paper and stuck where people could see it. Calls to all LIAT numbers were met with either no answers or voice mails which gave the obviously irrellevant flight schedule. The chaos at the check in could have been avoided by simply telling people what was going on. Yes we on the margin can appreciate that LIAT was struggling to move the back log due to industrial action by it’s cabin crew, however how they managed that back log was pathetic and inexcusable. The staff members appeared to be carrying out the same processes as if it were a normal day, when it was clearly anything but. Having let things got out of hand they had to resort to airport security and police to restore order. It should be noted that we have only good things to say about how the police and the security officers took control of the situation in a professional manner without needing to resort to strong arm tactics. We will make it look like an armed robbery at the hotel. We will leave a stack of BFP flyers on the bodies of him and his wife. Making threats against a person is against the law. With the information in the post, Mr. Loveridge could conceivably go to the police and have them track who had the Caribsurf IP address at the time. BTW the location of Tudor Street discussed in the subsequent comments is not relevant to anything other than as a placeholder for Bridgetown in Google Maps. It is unfortunate that the Blogosphere in Barbados has evolved into almost a wild west environment. We’ve already written our thoughts about Barbados Free Press, however Barbados Free Press Exposed represents the worst example of cyberthuggery that one can think of. There is no attempt to engage in discussion (which we had hoped is how BFPE would have developed) it is simply brutish, abuse. The output of BFPE is so bad, that the opinion has been voiced that it may well be DLP supporters trying to make the BLP look bad. Whoever is behind BFPE, they seem to have missed the point that to swamp the BFP with abusive comments only leads persons thinking that there is credence to what is posted on BFP. After all, if it was absolute nonsence no one would devote so much time and resources to shut it down would they? Dale Carnegie had a saying that “No One Kicks A Dead Dog” and that is what is being played out here. Far from stifling BFP, BFPE is making their case for them. This post may well land us on BFPE’s s**t list. However we believe that our record of fairness and balance stands for all to see. IF (and we stress that word) the political directorate is involved with BFPE, they should know that it is rapidly becoming an embarrassment not only to themselves but to Barbados as a whole. The operators of BFPE need to think and try again.